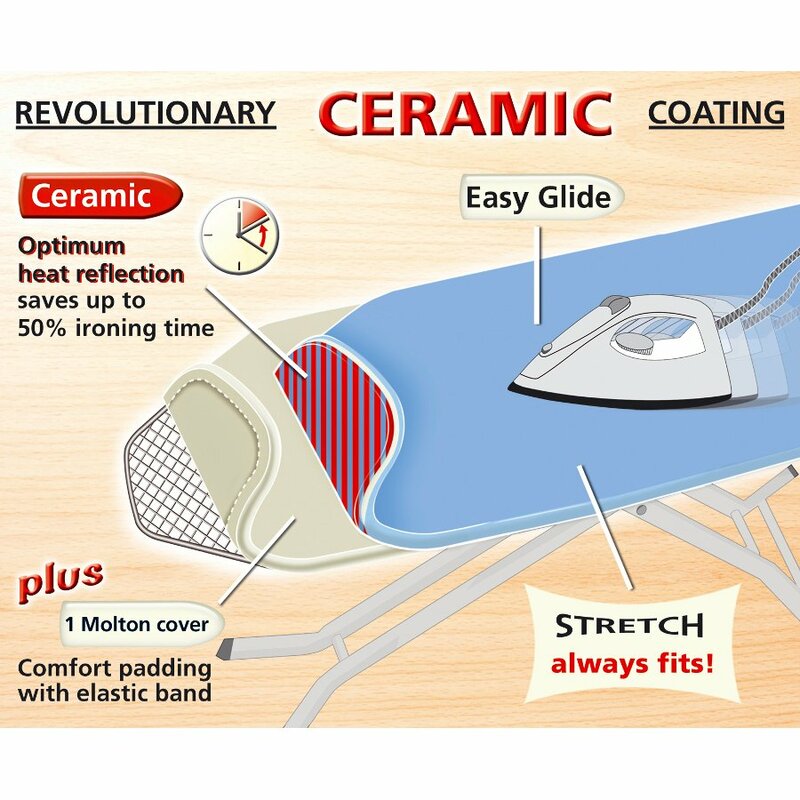 This plain blue ironing board cover will cut your ironing time in half, with a ceramic coating on the underside it reflects heat to speed up the process – saving energy and your time. There is also a molton underlay included made from elastic cotton for optimal moisture absorption – perfect for steam ironing. Fits all ironing board sizes. 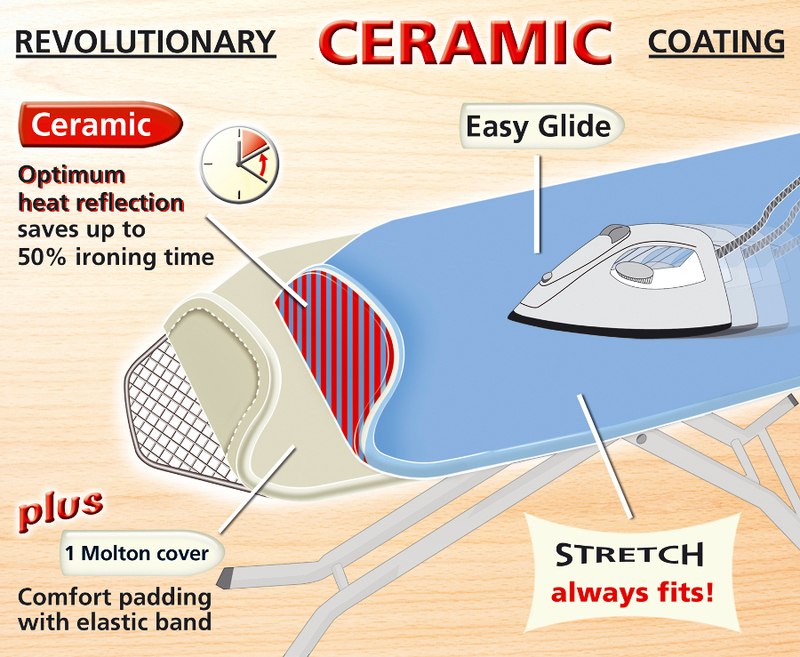 The Wenko Universal Ironing Board Cover - Blue product ethics are indicated below. To learn more about these product ethics and to see related products, follow the links below. There are currently no questions to display about Wenko Universal Ironing Board Cover - Blue.